"Shark Tank" star and tech billionaire Mark Cuban says artificial intelligence is going to drastically change the way we live and if you don't understand what's coming, "you can be blindsided in ways you couldn't even possibly imagine." © Provided by CNBC LLC Dallas Mavericks Mark Cuban smiles during the game between the New York Knicks and the Dallas Mavericks at Madison Square Garden on January 30, 2019 in New York City. 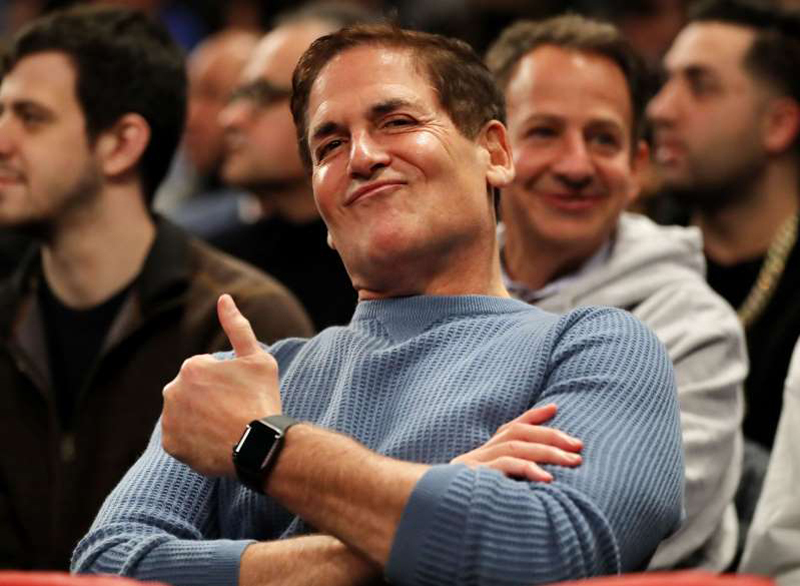 Billionaire tech titan Mark Cuban listens to entrepreneurs share countless business ideas thanks to his starring role as a judge on ABC's hit show, "Shark Tank." But Cuban recently revealed what areas of technology he'd focus on if he were to launch a business now. "If I were going to start a business today, I'd build it around Alexa and Google Home," he told Peter Kafka of Recode at the South by Southwest conference in Austin, Texas. "Scripting Alexa skills" means coding dialogue commands for the virtual assistant so the robot helper is able to complete the intended task. The other area of technology where Cuban he would seek to launch a business is artificial intelligence (AI). He says that the impact of AI will be more profound than most people currently realize. Where the Internet was once a futuristic idea, it's now a mainstay of everyday life. So, too, says Cuban, will AI become ubiquitous. He warns people to not take AI and its impact for granted. "If you don't know how to use it and you don't understand it and you can't at least at have a basic understanding of the different approaches and how the algorithms work," he said, you can be blindsided in ways you couldn't even possibly imagine." Even with strong interests in AI and virtual intelligence, Cuban, who is currently 60-years-old and worth $4.1 billion, according to Forbes, he expressed that he's no longer motivated to start a business, at least not in the way he was when he was younger. "The good news of having had the level of success I have is obvious, but the bad side is I kinda lost that piss and vinegar because I can think of 50 businesses I could start right now [...], but I don't want to give up time at home and all that," Cuban said in 2017 a conversation with Arianna Huffington. "So that's kind of the trade-off."